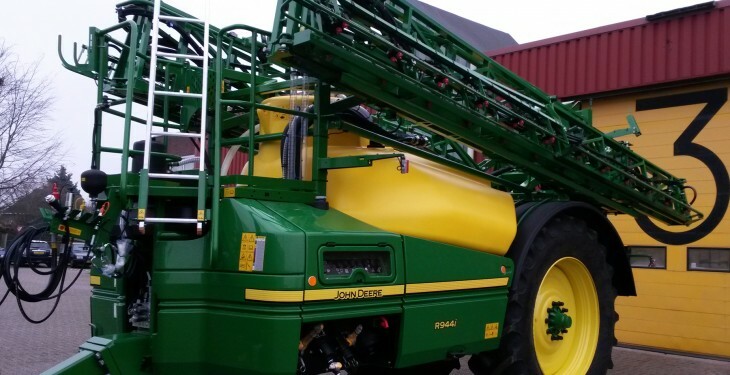 John Deere will be unveiling its new high specification 4,400L capacity trailed sprayer at Cereals 2015, the UK show. John Deere says that the latest models offer the same basic features as the larger M & R Series sprayers up to 6,200L, but with a smaller tank size. “Both new versions have the same low profile tank design and low centre of gravity for maximum stability under all spraying conditions, while the established axle steering system provides accurate tracking on the headlands to reduce wheeling damage. The R944i model on display, together with its new M Series mid specification equivalent the M944(i), mean that John Deere now offers a wider range of specifications and configurations than ever before in a machine of this size, with a choice of manual, semi-automatic or fully automated sprayers, it says. According to the manufacturer the new model has a powerful, high-capacity twin piston diaphragm sprayer pumps which supply liquid at 560L/minute for fast automatic filling and spraying. An optionally available centrifugal pump boosts filling capacity to 700L/minute, it says. 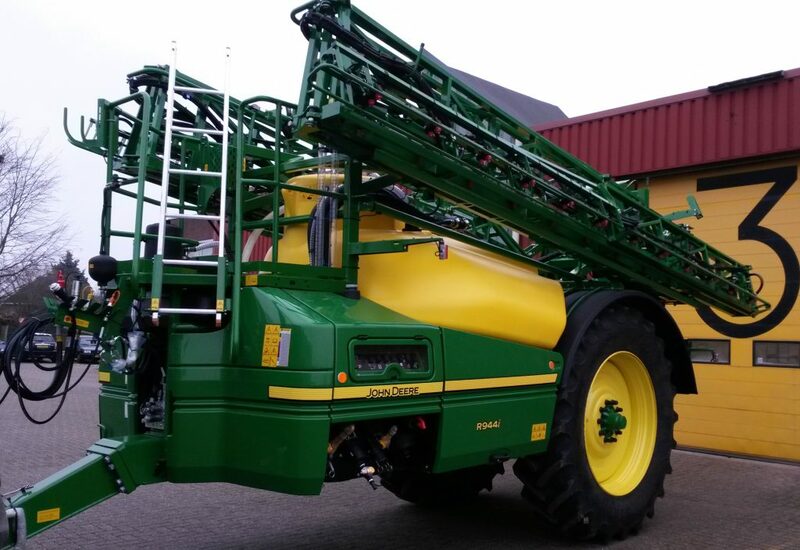 John Deere says that there is a wide choice of durable steel spray booms is available, from 24 to 30m (double-folding) and 24 to 40m (triple-folding). These feature a central pendulum for boom levelling, anti-yaw suspension system, vertical and horizontal boom breakaway protection and durable pivot points, it says. The new M944(i) and R944i also offer a wider range of tyre options than ever before on trailed sprayers of this capacity, to reduce ground pressure and thus help avoid compaction and soil damage. In addition, larger diameter tyres offer less rolling resistance, reducing the power required to pull the sprayer especially in difficult ground conditions, John Deere says. The full range of R900 & M900 Series sprayers replace the previous 800 Series trailed models, which will stop production later in 2015.